Day Two Hundred & Fifity, originally uploaded by charlierobinson1966. Our work internal business forums are quite useful to learn from across the business what various areas are focusing on and/or have produced. this was one such meeting. 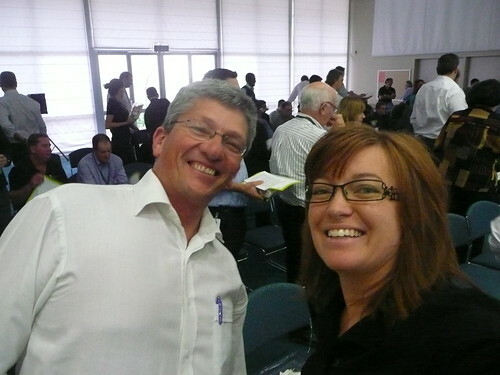 here i am with Jan our Team Leader for Network Reliability (so kinda important dude you’d say). i traveled to south africa last year as he’s from there and we were recruiting… fun happy bloke who prefers living in australia for all the logical reasons! !